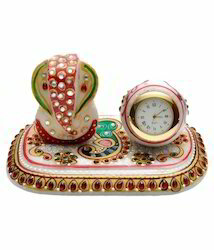 Offering you a complete choice of products which include marble chowki watch, marble round watch, marble visiting card holder with watch, marble ganesh ji with watch, marble clock and marble pillar watch (big) with golden. 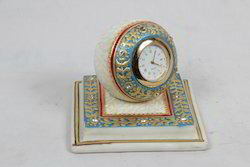 With the active support of our team of experts, we are engaged in offering a huge assortment of Marble Round Watch. 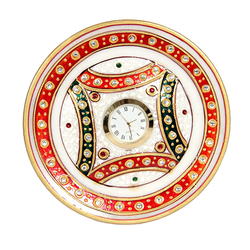 These Marble Round Watches are fabricated under strict supervision of highly experienced and professional quality controllers. 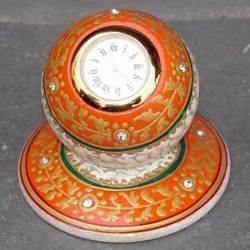 Thus, these Marble Round Watches are very popular due to their precise performance, easy operation and higher productivity. 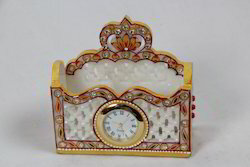 This is decorative marble jaali visiting card holder with watch.Marble Visiting Card Holder with Watch is made in pure marble. 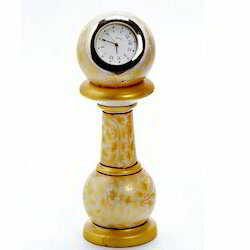 We are engaged in the manufacturing of a unique range of Marble Clock. Offered range is available to our clients on reasonable prices. 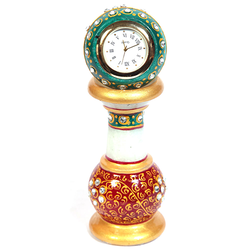 We are a leading manufacturer and supplier of Marble Pillar Watch (Big) With Golden paints. it is used for corporate gifts. 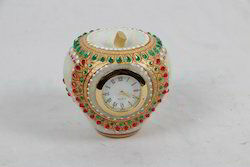 We are a leading manufacturer and supplier of Marble Small Watch it is used as corporate gifts and desktop gifts. 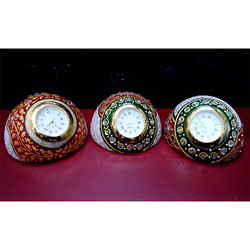 We are a leading manufacturer and supplier of marble shankh watch. 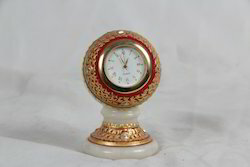 This marble shankh watch is also manufacture according to customer needs. 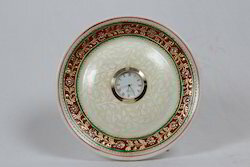 This is 6 Inch marble round plate with watch with stand. 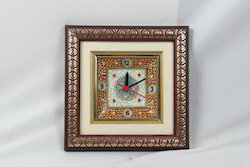 it is made in pure marble with meena paints. Looking for Marble Watches ?